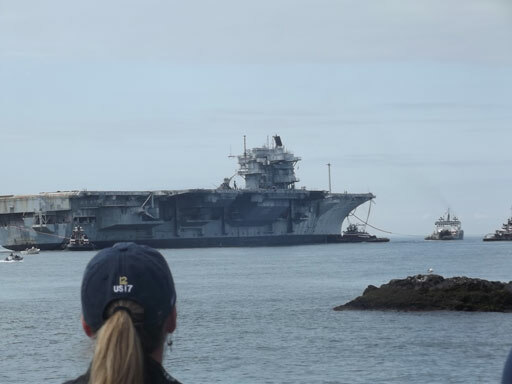 Thank you to all the people who took video of the ceremony, and the subsequent departure of the USS Saratoga. Here are a few items we found, we hope you like them. PLEASE NOTE: These videos are publicly available on YouTube, we do not claim authorship of them.